Question: Are you supposed to wash your hands before touching ANYTHING in the patient’s room? 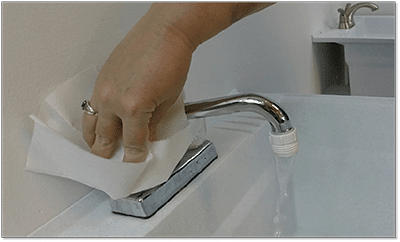 You wash your hands at the beginning of the skill to prevent the spread of germs from you to the patient. But you also wash your hands at the end of every skill to prevent the spread of germs from the patient to you. To really protect the patient, and yourself, you need to pay attention to WHEN you wash your hands! The privacy curtain is touched by all healthcare workers, patients, visitors, staff members, and others. It is not clean. Patients will scratch what itches and touch the curtain. They will cough and sneeze and those particles will land on the curtain. Vomit, urine, feces, wound drainage and other body fluids can transfer onto the curtain from caregivers and family members. Even body fluids on soiled gloves can be transmitted to the curtain! Ick! Gross, right? But think about this…those curtains are only taken down and physically washed about once (or sometimes twice) a year. So, can we assume that those curtains are clean? And if they aren’t clean, then when is it okay to touch them? Should we touch the curtain AFTER washing our hands, or BEFORE? Yep, curtains should be closed before you wash your hands, to prevent re-contamination after you wash your hands. This keeps your hands clean for the patient! But there is another consideration, too. 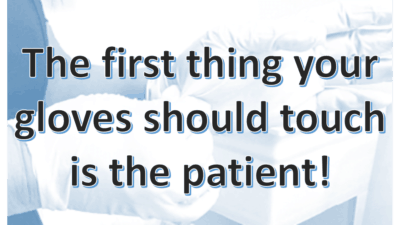 Washing your hands before you tell the patient what you are planning on doing and obtaining consent can be construed as intrusive, like you are assuming that they will give consent. It is a better idea to get consent first, which shows respect for the patient’s right to refuse. By entering the room, identifying the patient by name, introducing yourself by name and title and describing the skill to be done, you are giving the patient the right to consent or decline without being presumptive. After you get consent, close the curtain and wash your hands. That way, you now have clean hands to gather clean supplies! (Use your elbow at the curtain opening to enter the private area after gathering supplies). This keeps your hands clean for your patient, protects their right to refuse and treats them like a partner in their care, instead of a victim of your care (patient). Washing your hands after you have obtained consent and closed the curtain makes sure your hands are clean for the skill. Washing them after you have completed all contact with the patient and their environment keeps your hands clean between patients! Can you tell me if after you introduce yourself do you identify patient by “touching them” to look at their id bracelet or wash your hands and then then confirm who they are? You cannot touch a patient before washing your hands. For the exam, there will be no ID bands because your patient can “self-identify” – just like you do in a doctor’s office or walk-in clinic. The medical professional calls you by name (or asks you to state your name) to ensure they have the right person and you are able to confirm that that is your name. MOST of our patients can do this, too. 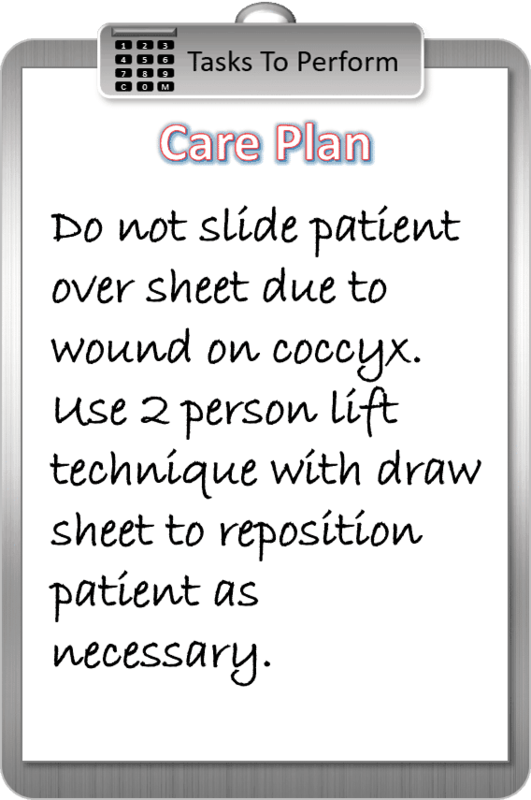 This is the BEST method of identification because the patient is actively involved in the process. An ID band can be placed on the wrong patient, they can be damaged, missing or altered. Identifying the patient by name is the preferred method of identification during the exam, and in clinical life. Hope this helps!